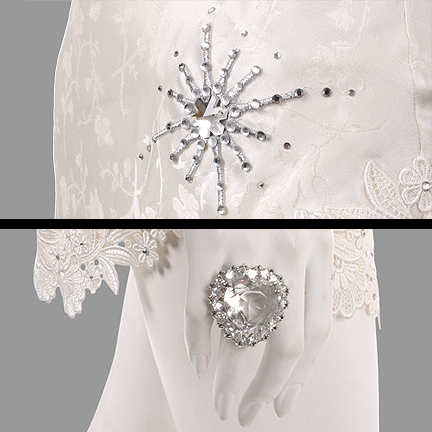 This costume was worn by “Fairchild van Waldenberg” played by Amy Poehler. 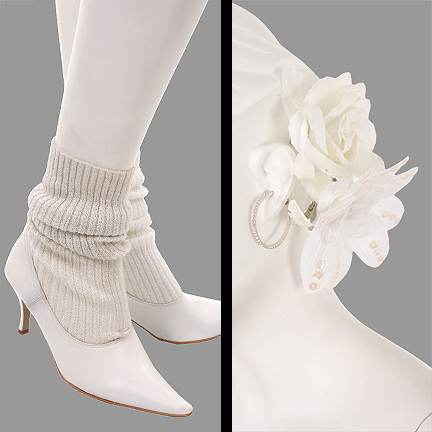 This costume consists of an asymmetrical white silk jacquard, white faux leather pumps, white knit leg warmers, rhinestone hoop earrings and heart ring. Also included are costumer’s tags that include the character name, actor name, and scene number. 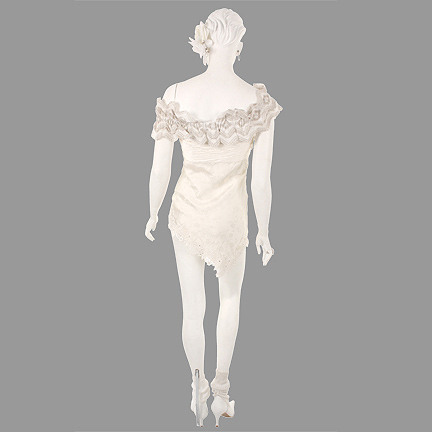 Ms. Poehler can be seen wearing this costume with Stranz Van Waldenberg (Will Arnett) while watching footage of Chazz and Jimmy’s skating rehearsal in the seafood storage warehouse. "Blades of Glory" was nominated for three MTV Movie Awards, including one for Best Movie.